Is Medellín today anything like it seems in “Narcos”? Short answer? No. Here are seven reasons why. If you’ve seen Narcos, you might have an impression of Medellín, Pablo Escobar’s hometown, as an anarchic conflict zone replete with murders and kidnappings. But is Medellín still like that today? While 25 years ago during the events of Narcos Medellín was pretty dangerous, today it’s a completely different place, though obviously still with hints of the past and new challenges to deal with. Medellín’s nickname is “The City of Eternal Spring” and, as someone who visited in December, I can say that’s well-deserved. For my entire time there the skies were blue and the temperature was balmy enough for me to walk around in short sleeves. At the same time, owing to its higher elevation, the city wasn’t humid at all and I experienced no mosquito bites. 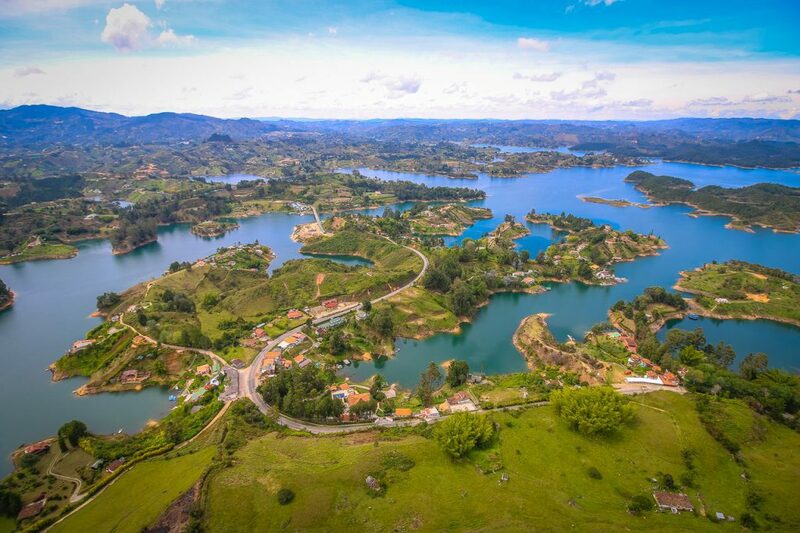 Nestled in a valley amidst rolling mountains, Medellín and its surroundings have impeccable scenery — even your ride down from the international airport into the city center will yield great views. At least from my experience as an ethnic Asian who looks like an obvious tourist, Paisas (the word for someone from the Medellín area) are some of the friendliest people I’ve met while traveling. In no other city have random people come up to me at metro stops to shake my hand and say “welcome to our city!” or sit through my broken Spanish explanations of Taiwan’s geography (an older man in a public square was curious about my ancestry). If you’re a health freak who doesn’t know how to enjoy life, ignore this section. If you’re like me and enjoy cost-efficient, calorically dense food, Medellín is fantastic! Compared with the US and Western Europe, Colombian prices are quite cheap — you can easily get a big meal for <$4USD. 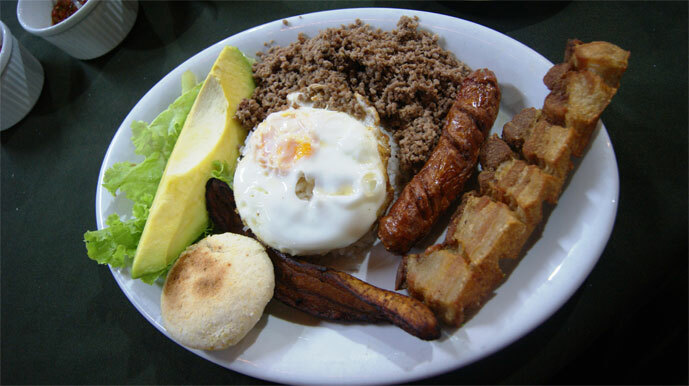 Medellín’s specialty is the bandeja paisa, a generous platter filled with rice, beans, various meats, eggs, and (maybe) salad. Also recommended are buñuelos (deep fried cheese balls!!! ), guarapo (a sweet sugarcane drink), and much much more that I’ve since forgotten. 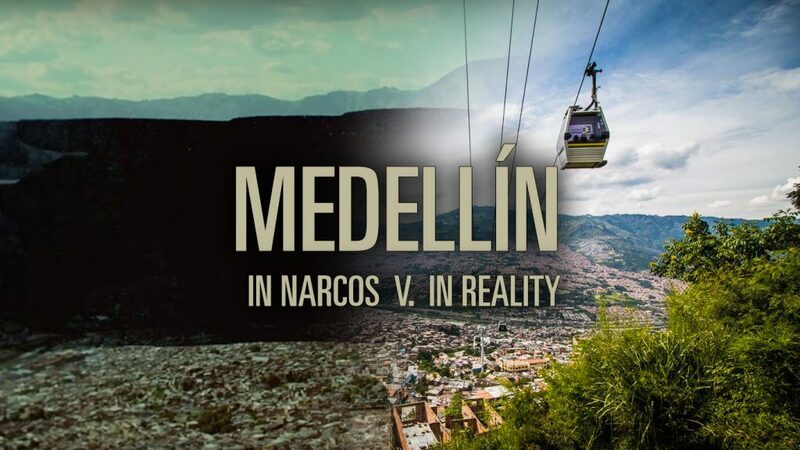 Unfortunately nothing can change the fact that Medellín is Pablo Escobar’s hometown — so there are places associated with him (some of which appear in Narcos) still standing. 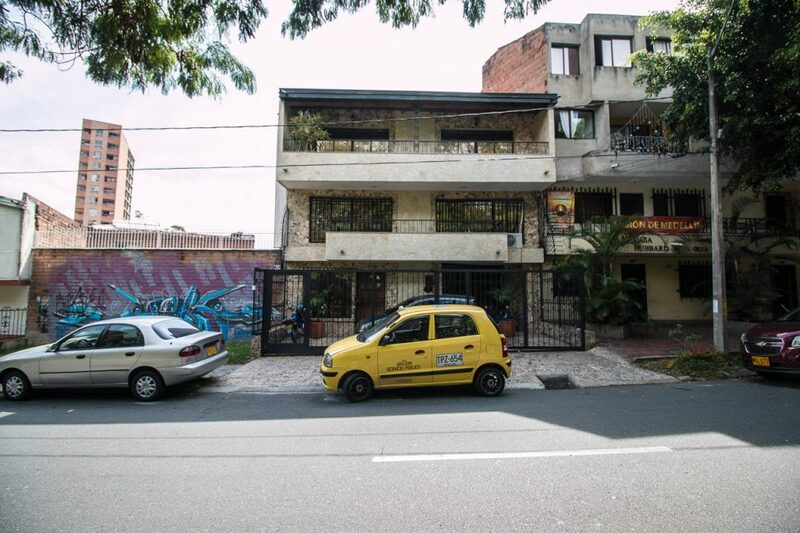 Though the man is dead and the city is way more peaceful than before, there are lingering issues with organized crime groups (like the La Oficina de Envigado) that derive from his organization. You can see and learn more about all this on a private Pablo Escobar-themed tour that takes you to the Edificio Monaco (where his family was bombed), the house he was killed in, his grave, and (only if you get lucky with timing) La Catedral (his private prison). However, given Pablo’s not-so-sterling legacy, the city government and tourism authorities don’t promote or encourage such tours. In fact, many of the tour sites have been repurposed and you wouldn’t know their significance if you just randomly walk by — the house Pablo was shot in has been remodeled (with an extra floor) by its new residents, and La Catedral is now a retirement home run by Benedictine monks. It’s evident that Paisas and Colombians at large are still struggling with how exactly to come to terms with such a traumatic past. How much should they forget or repurpose? How much should they preserve or memorialize? Given Escobar’s reign of terror scarred all parts of Paisa life from forcing the temporary closure of Medellín’s botanical gardens to laws banning male backseat motorcycle riders (to curb drive-by assassinations), that’s an immense challenge (that deserves a whole other article). One commendable way Medellín is trying to deal with its past is through art, specifically that in the Museo de Antioquia. To me, many art museums feel commoditized — sure, that Picasso might look pretty, but you could plop it down in any other museum and it’d feel the same. The Museo de Antioquia is the opposite. With a litany of exhibits focusing on conflict, violence, and trauma, it attacks Medellín’s past head-on with great relevance and meaning. 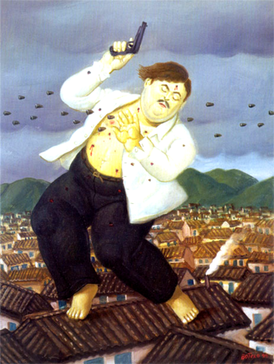 When I visited there was Fernando Botero’s renowned painting of Pablo Escobar’s death, a section about a musician who joined the FARC, a wallful of land expropriation records, paintings about human trafficking, film corners featuring scenes from other conflicts both fictional and real (including the Bosnian War short film 1395 Days Without Red starring Maribel Verdu of Y Tu Mamá También), and much more. Sometimes, tragedy begets the most poignant and meaningful art. 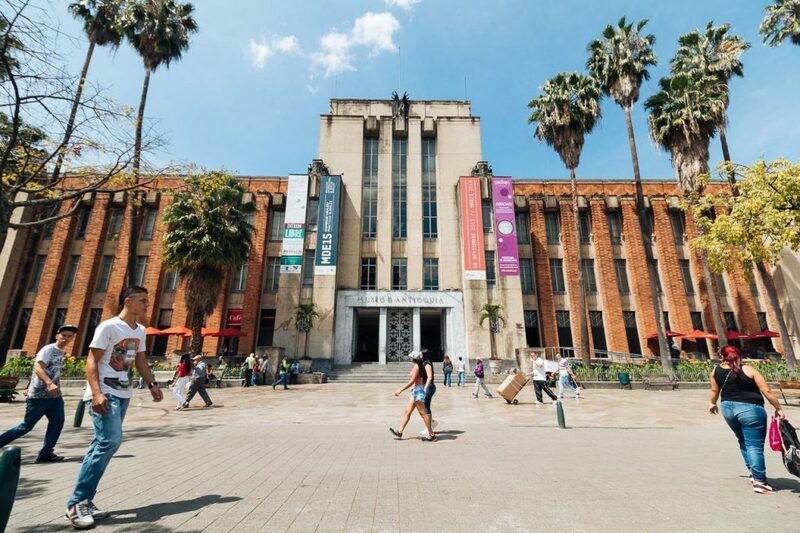 As a city resurrected from a pool of tragedy, Medellín is blessed to have the Museo de Antioquia to preserve the works it inspired. While institutions like the Museo de Antioquia preserve the past, Medellín’s municipal government looks conscientiously towards the future. One shining example of this is the city’s public transportation system which consists of not only a regular rail metro, but also cable cars and escalators. Built starting in the darkest days of the Escobar era, Medellín’s Metro is a symbol of triumph over adversity. As a result, it’s clean, reliable, and efficient; you see no trash or graffiti anywhere on trains or stations ostensibly because Paisas take great pride in the fact that they were able to construct this system to start with. But beyond the regular metro are two rather ingenious conceptions. First is the Metrocable, one of the world’s first cable car mass transit systems. Second is a series of outdoor escalators. 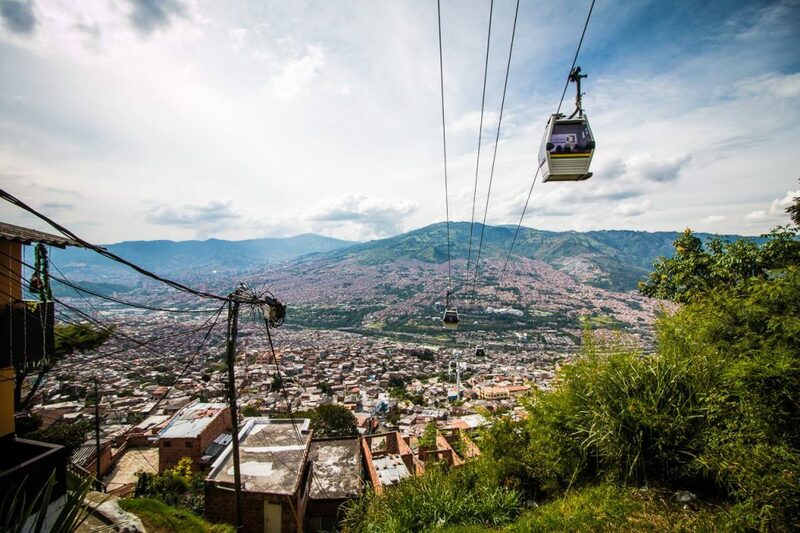 As Medellín is built upon a valley, its more indigent districts have sprouted up on steep mountain slopes; getting to the city center from them by foot takes inordinate amounts of time and energy, restricting access to legitimate economic opportunities and incentivizing crime. 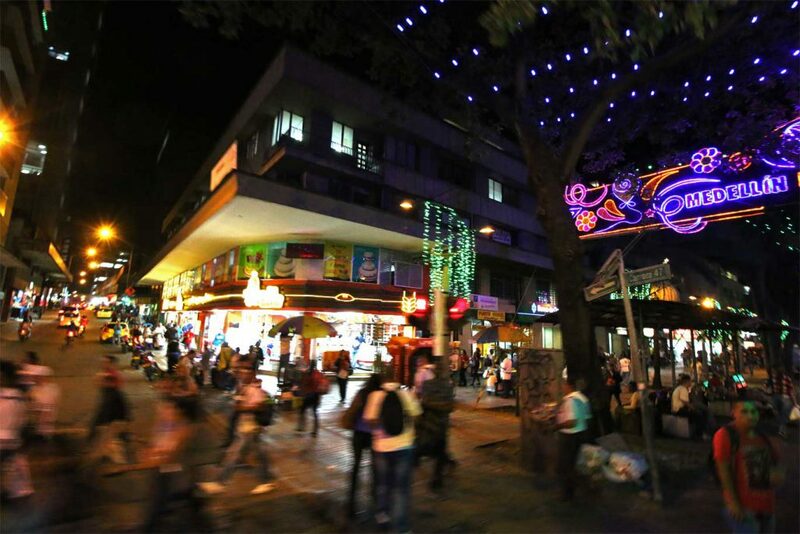 When peace came to Medellín, the city government wanted to ensure it stayed. As traditional trains and buses don’t work too well on steep hills, the municipality creatively built these two systems to physically include more impoverished neighborhoods in the city’s rebirth. Talk about changing lives through design. 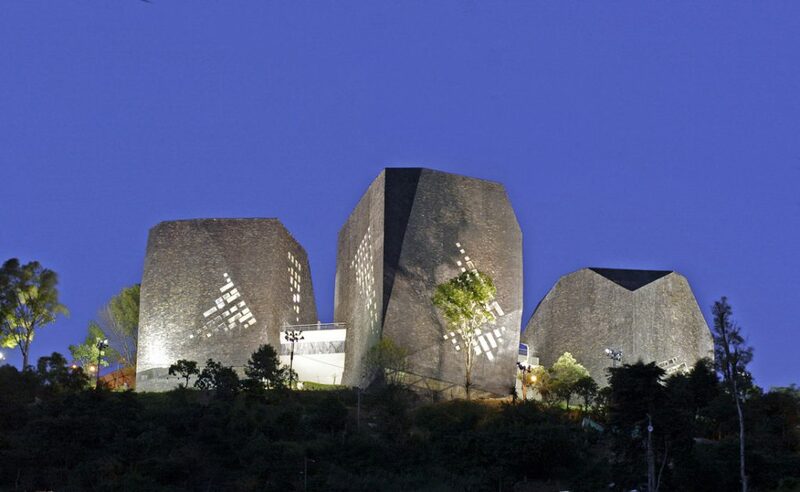 Besides innovative public transit, Medellín also has a series of architecturally distinctive libraries (technically “library parks“) across all types of neighborhoods. Other than providing access to educational resources and knowledge, these elegant libraries — designed by some of the world’s most renowned architects — are meant to imbue citizens of all classes with a sense of dignity and civic belonging; after all, building such a fancy library in a poorer neighborhood could be a symbolic gesture of “no, we haven’t forgotten you”. This effort hasn’t been without criticism or setbacks, but it’s an approach I’ve yet to see anywhere else. So there you have it...across these seven dimensions and more, the Medellín of today is a far cry from the Medellín in the “plata o plomo” days of Narcos. yes, the city still contends with Pablo Escobar’s traumatic legacy. However, it’s moving forward with an impressive degree of creativity, grace, and poise. Don’t be afraid to visit sometime!